David's litigation practice has included the successful defense of claimed groundwater contamination in a case brought by the United States under the Safe Drinking Water Act, the recovery of RCRA remediation costs by the City of Boise, the successful prosecution of a claim that amendments to statewide telecommunications contracts violated Idaho competitive bidding statutes, the successful prosecution of a claim that the Payette National Forest Management Plan was issued in violation of the National Environmental Policy Act (NEPA), litigation concerning minority ownership interests in closely held businesses, litigation concerning the existence, scope and validity of decades old urban railway easements, recovery of greater than $3.0 Million for a national bank in an insurance coverage dispute; the defense of multiple professional liability and negligence cases involving physicians, hospitals, attorneys and others; successful appeals resulting in the reversal of arbitrary administrative actions; and a variety of other litigated cases involving real estate and commercial transactions, physicians' rights, personal injury, property damage and environmental compliance. David is listed as a mediator by the Idaho Supreme Court and the Idaho Federal District Court. 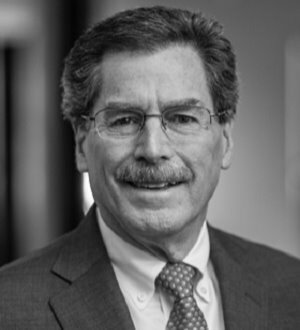 David also provides extensive counseling and representation to a variety of individual and institutional clients in matters involving professional and general liability, risk management, construction disputes, commercial transactions, and litigation planning. David has lectured for the Idaho Law Foundation, National Business Institute, Catholic Health Initiatives, the Idaho State Tax Commission, the Idaho Trial Lawyers Association, the Family Practice Residency of Southwest Idaho, hospitals and others on matters relating to trial practice, litigation, professional liability, and related topics. David is President and one of the founders of Idaho 2 Fly, Inc., an Idaho based 501(c)(3) organization that provides support and fly fishing retreats to Idaho men with cancer. David is also a member of the Community Advisory Board of Boise State Public Radio, an NPR affiliate.